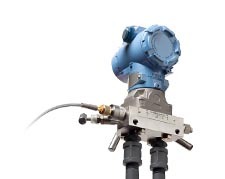 Create leak-free, reliable connections across all types of pressure references and processes. 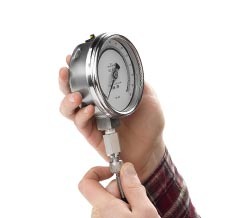 Connect to a pressure calibrator, pressure module or gauge directly or with a hose. Connect to all popular hand pump models and volume controllers. Connect directly to transmitters, install permanent adapters or just get in and get out quickly. 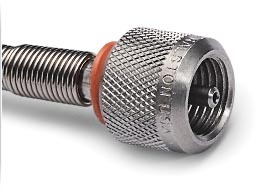 Adapters available in all standard threads for quick hose connections. Use cap and chain models or full valves for permanent installations. Quickly make reliable, leak free connections temporarily or permanently across all standard pressure reference and process connections. 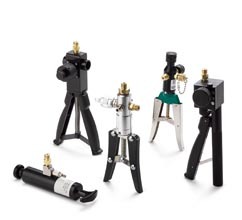 Whether connecting to live or vented pressure systems, the Quick-test™ Connection forms the key component for stable pressure calibration applications. High pressure, low volume hoses designed specifically for pressure calibration applications.